Last fall, 2014 Beyond the Book curator, Ronni Komarow, asked me to do an “Ekphrasis” experiment (art in which one inspires another) by taking a body of my poetry and matching individual poems to the theme, content, style or sensibility of the artists’ works on display. The fifteen poems that I chose from the thirty-five or so artist’s books in the show represented a huge range of subjects — from a tribute to Nobel Peace Prize winner Malaya Yousafzai, to a fable about a magical dowsing rod in rural Vermont, to gender bending in the 1890’s. The reading became a “progressive art dinner” as the audience moved around the exhibit to examine each piece before or after I read the associated poem. I loved this engagement– not only did it combine two art forms, but it provided the audience and me an opportunity to study the artists’ books closely and discover resonances between art forms. 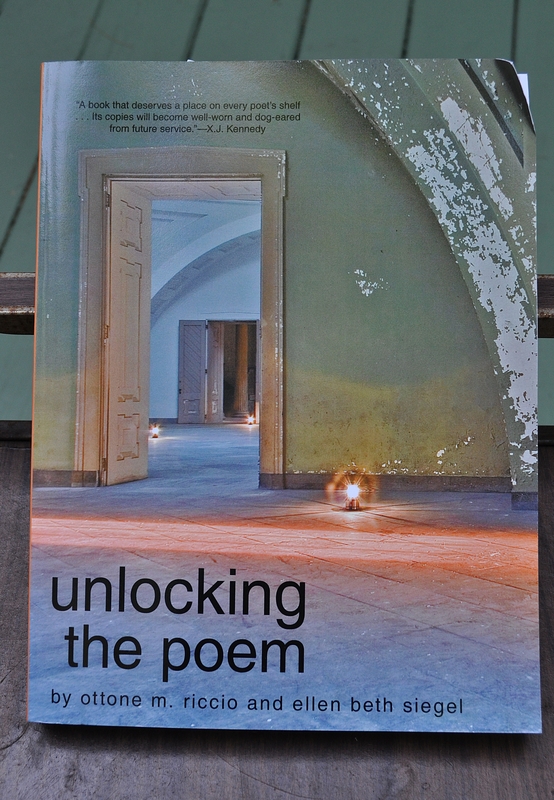 To read several poems from the reading, click here: 3 Poems from BPL Reading, Nov 2014. 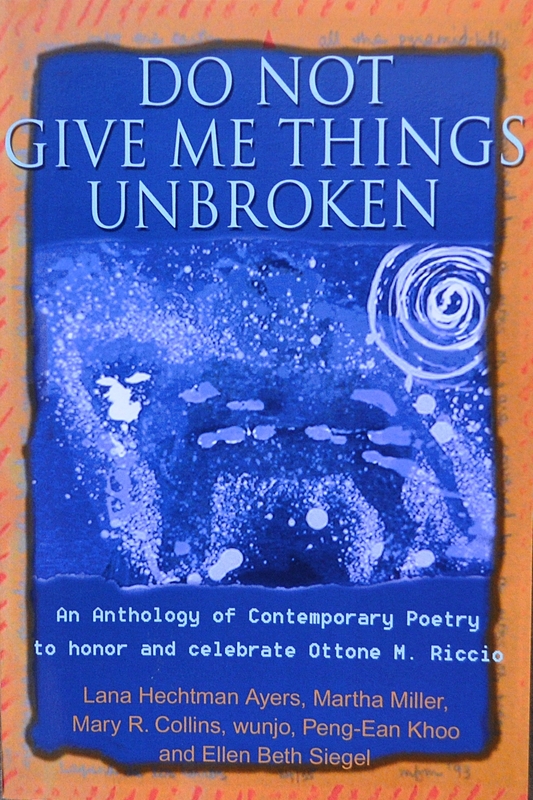 “Birthday at Rocky Woods” and “Blue Moon Café.” In Do Not Give Me Things Unbroken: An Anthology of Contemporary Poetry to Honor and Celebrate Ottone M. Riccio. Ed. Lana Hechtman Ayers San Jose: Writers Club Press. Dead Reckoning. 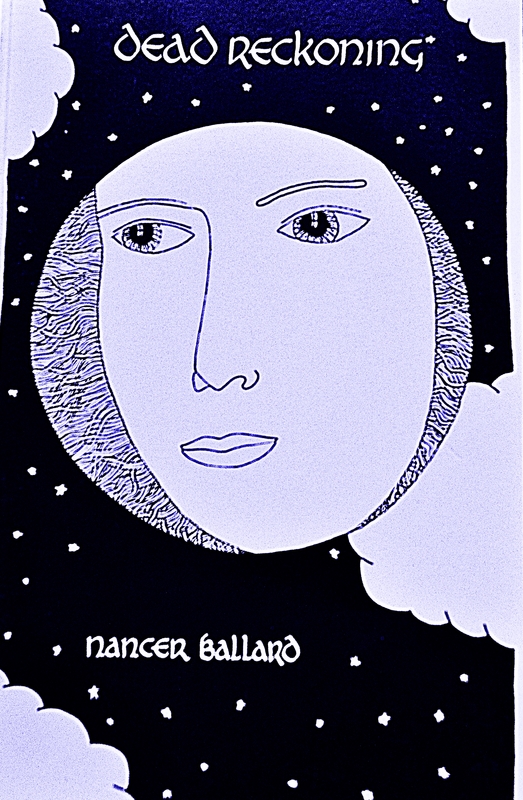 Boston: Good Gay Poets Press. “The Swath,” in Unlocking the Poem. Ed. Ottone M. Riccio and Ellen Beth Siegel, New York: iUniverse. Ekphrasis Reading at the Boston Public Library (Brighton branch). “How We Are Changed by the Things That Don’t Happen in Poetry and Life,” Brandeis University Writing Program.